Twelve researchers received NIEHS funding this fall to work in collaboration with NTP and the U.S. Food and Drug Administration (FDA) to help develop state-of-the art rodent studies on the chemical bisphenol A (BPA). The information generated from these studies is expected to help regulatory agencies faced with the responsibility of determining the safety of products being used by consumers. The selected grantees (see text box), known for their expertise in conducting research on the health effects of BPA, will have an opportunity to work with a multidisciplinary team of scientists from the NTP and FDA to suggest disease endpoints to be looked at, and also provide input on the overall design of the BPA studies. The long-term BPA rodent studies will be conducted at the National Center for Toxicological Research (NCTR), in Arkansas, FDA's internationally recognized research center that has worked with NIEHS for over 30 years in carrying out studies in support of the NTP mission. These BPA studies are being designed in accordance with established good laboratory practices (GLP). 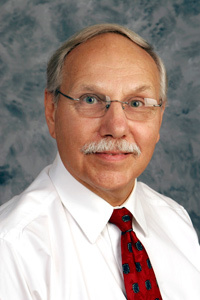 “Having our grantees involved in this seminal experiment, that integrates a GLP-compliant study with additional disease endpoints, will provide the data needed to build consensus on the health effects of BPA,” said Jerrold Heindel, Ph.D., program administrator in the NIEHS Division of Extramural Research and Training (DERT). The 12 grantees were selected from an NIEHS funding announcement(https://grants.nih.gov/grants/guide/rfa-files/RFA-ES-10-009.html) made last year. DERT will invest approximately $2 million per year over the next four years for these efforts, according to Heindel. NTP is investing about $3 million per year through an interagency agreement with NCTR. The studies at NCTR are expected to start before the end of the year. Currently, the researchers are working on establishing the dose levels for the multigenerational studies. In addition to looking at traditional toxicological endpoints, such as cancer, the grantees are working with NTP to look at disease or dysfunction endpoints not typically measured in GLP guideline studies. “We're hopeful that this unprecedented integrated research project, that we're about to embark upon, will reduce some of the uncertainties and research gaps in the BPA arena, and provide us with better information on this chemical,” said John Bucher, Ph.D., associate director of NTP and director of the NIEHS Division of the National Toxicology Program. The program provides an opportunity to leverage resources and ideas between NIEHS-funded researchers studying BPA, the NTP, and the FDA. The backbone of the new studies is that they will follow good laboratory practices, which will add utility to regulatory agencies. “This collaborative research effort exemplifies how different parts of the federal government and academia are working together to address a public health problem,” said Linda Birnbaum, Ph.D., NIEHS/NTP director. "Training program celebrates 15-year..." - previous story next story - "Environmental toxicologist David Eaton..."